Rod 2.0:Beta #gay #news #lgbt #gaynews: Kenya: "Things are Changing in Favor of Gays"
Last summer, you may remember one or two items about a growing movement to decriminalize homosexuality and increase tolerance for gays in Kenya. Apparently, there has been some success. According to the Mail & Guardian, a South African daily newspaper, although gays and lesbians are routinely prosecuted in most African countries, life is slowing changing in Kenya. Homosexuality between men remains illegal. "Despite that, nobody gets imprisoned in Kenya just because he is homosexual," says Angus Parkinson of Liverpool VCT, a support centre in Nairobi. "Kenya is heading in a different direction from its neighbours." As we anticipated last summer, the report says the state-run HIV/AIDS campaign has begun to explicitly address gay men. In addition, "there are eight organisations that are campaigning for the legalisation of homosexuality and which give advice to gays and lesbians," something also almost unheard of across Africa. Finally, there have been slight cultural changes, such as the addition of television shows with openly gay characters such as Will & Grace. Jeremy Mirie of Galebitra, an LGBT advocacy group, adds that five years ago, under the rule of Kenya's founding father, President Daniel arap Moi, "this would have been unthinkable." None of this should imply there is a burgeoning gay community in Nairobi. 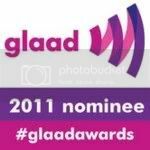 Unfortunately, there still is significant social stigma attached to gay men and "even gay activists do not talk to their families about their sexuality." The gains may appear to be minor by North American or European standards, but, in Africa, this is major. Activists say Nairobi is slowly becoming more tolerant. "Things are changing here in Kenya—in favour of us," one says. Thanks for the Kenyan news, I'm from Uganda myself. Rod, I'm a new reader, just want to thank you for keeping focus on gay men in Africa. Rod, think I should supplement my comments since the context in which they were made was dropped. Gay men are frequently harassed and/or arrested here but seldom, if ever, charged with 'gross indecency' or 'carnal knowledge against the order of nature' - they are usually charged with disorder, loitering, public nuisance etc... My comments were specifically in reference to the exercise of the laws mentioned above. "Despite that, nobody gets imprisoned in Kenya just because he is homosexual," says Angus Parkinson of Liverpool VCT, a support centre in Nairobi. "Kenya is heading in a different direction from its neighbours." Thanks for the insight, Rod. Always a pleasure reading your blog. I stop by daily expecting to be informed but I get more than that. It's so great to see that there are people who still write with a human touch. And you're their leader in my opinion. Thanks again.